How do you stop male pattern baldness? There is also a type of alopecia which is female pattern baldness. But the male version is far more widespread with almost two thirds of suffers having some degree of hair loss by the age of thirty five. Research suggests that approximately a quarter of these men begin to lose hair before they reach the age of twenty one. This can be a devastating blow to self-esteem and the impact on personal and professional relationships leaves men feeling out-in-the-cold. This has prompted a massive industry of hair loss treatment for men that sadly is growing daily. 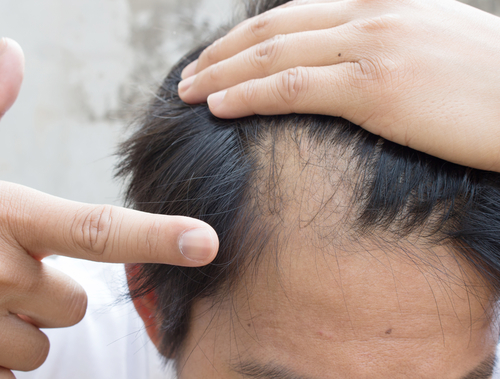 This problem is typically identified as a receding hairline with thinning on the crown. The pattern eventually progresses to a more obvious “horseshoe” or rim of hair, resulting in the top of the scalp going bald. An official diagnosis begins with your medical history. This means that your healthcare professional is likely to ask questions about instances of hair loss with other members of your family. Additionally, your dermatologist may examine your scalp with a densitometer. This allows the scalp to be seen under magnification as he looks for the degree the hair follicles have suffered miniaturisation because of sensitivity to dihydrotestosterone. While there are a number of possible reasons for hair loss including reactions to medications, serious illness and stress, the most common cause is genetics. 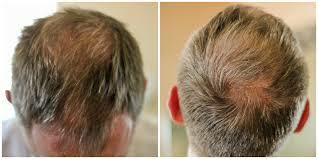 Male pattern baldness is linked to the heredity of hair follicles which have a genetic sensitivity to dihydrotestosterone (a by-product or derivative of the hormone testosterone). Testosterone naturally converts to dihydrotestosterone with the enzyme 5-alpha-reductase. Although the genetic process is not entirely understood, scientists are aware that the dihydrotestosterone causes the hair follicles to shrink damaging their ability to produce healthy hair. When hair follicles have a sensitivity to dihydrotestosterone, prolonged exposure completes the miniaturisation process. There are a number of hair loss treatments available for suffering men. First up, it’s a good idea to undergo a hair analysis to determine if there are other underlying causes contributing to the hair loss. Treatment will then depend on the extent of the hair loss. Professional hair loss specialists use the Norwood Scale to determine what stage of male pattern baldness you have. 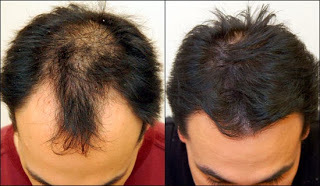 There are also a number of cosmetic hair loss treatments for men. These include shampoos, creams and other topical treatments. However, many of these readily available options lack supporting data and studies to determine how well they work. This means that before you spend a small fortune on over the counter treatments, it’s a good idea to consult with a professional hair loss specialist. Early diagnosis can allow a greater number of treatments to be explored to determine which would offer the most effective solution for you. This may include topical treatment,light therapy or more significant options such as hair transplantation. However, you should be aware that the scientific community are continually considering treatment options for male pattern baldness, so it is important that you don’t simply assume that nothing can be done. If you are suffering from this problem, it is certainly worth speaking to the Tango Hair Loss Clinic in Brisbane, Queensland. Because we specialize in solving hair loss problems. Continually researching all the latest material and products helps us to keep our clients feeling like there is a solution available to them. So, why not give us a call on (07) 33 661388 and book in for a FREE consultation in one of our private rooms. That way you can experience the attention and advice of a professional who will find the right solution to your male pattern baldness.